The Snowball 2012 was held at Prestonfield Hotel on Saturday 8th December and, with some 220 people attending, the evening was once again a great success, the Charity receiving lots of plaudits from those who were there. Music was again be provided by Robert Black with a disco later for those still with energy to burn. 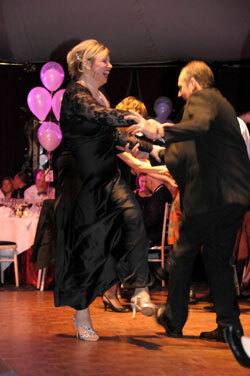 The event raised a magnificent sum in excess of £20,000 for charity. The Charity made a donation of £12,500 to Chest Heart & Stroke Scotland from the funds raised as well as donations to other charities. Snowball 2013 is firmly established in Edinburgh’s calendar and the 2013 event will be held at Prestonfield Hotel on Saturday 7th December. If you are interested in attending please contact Robin Fulton at robin.fulton@turcanconnell.com or Don Young at don@wymre.com as soon as possible as it is again expected to be a very popular event.